You are viewing used 2004 Chevrolet Impala SS Supercharged 4dr Sedan offered for sale. Find out here most detailed specifications, photos and review. If you like this car, you can also find here information about auto dealer(if available) and contacts them using provided contact information. Are you seeking for a new reliable car for you and your loved ones? If that is the case, the specifications of this Chevrolet Impala will not leave you indifferent and will make you plump for this particular vehicle. You will be impressed by its characteristics, engine and design. Chevrolet Impala is a car that gets noticed by many motorists due to its sleek look, smooth shape and readiness for action. Chevrolet Impala conquers the road, draws everyone`s attention and provides a great driving experience for its passengers. In this vehicle you will feel confident and comfortable at any time! 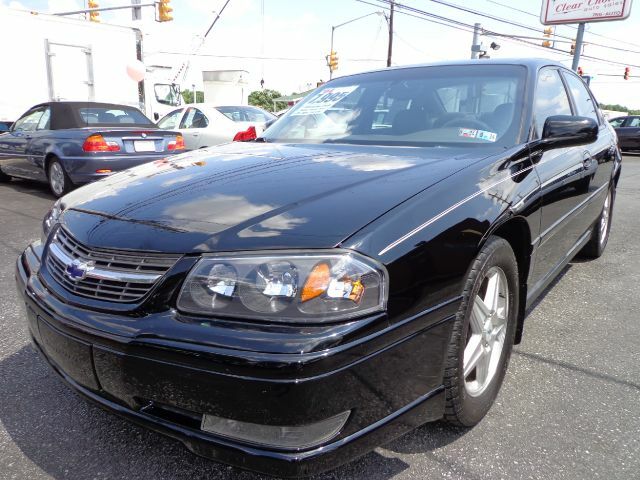 Our reliable and elegant Chevrolet Impala SS Supercharged 4dr Sedan was produced in 2004. This model is really attractive and will satisfy even the strictest customers in any country of the world. This car will work infallibly and will never fail to impress you and your family, whenever you decide to take a drive. This Sedan is a good passenger car, which incorporates cargo space with passenger space and features folding seats to ensure flexibility in this space. You can be sure that nothing and no one will be left behind, if you own this vehicle. You will be able to squeeze in all your family and their belongings. This car is available in Black and looks just great – clean, fresh, and elegant. This shade is quite popular among motorists and your family is sure to feel very comfortable and safe inside such a vehicle. Just imagine going on a road trip inside such a reliable beauty! In addition to that, to compliment and emphasize the elegant look of this beautiful creation the car manufacturers offer Gray, which look rather austere, sophisticated and smart. Beyond all doubt, the Gray of this Chevrolet Impala is a perfect match for the car`s exterior and for its inside trim. Chevrolet Impala SS Supercharged 4dr Sedan has a unique character; it is distinguished from other cars and compliments the character and the lifestyle of the owner. All the little details and a well thought out design will make your car an indispensable companion in all your journeys and a pleasant thing to look at. The best motor for this vehicle is a V6, which is rather powerful and efficient. You will able to rely on it completely and conquer different types of roads in any weather. So, this Chevrolet Impala will definitely draw your attention and will make you want to purchase this vehicle. An automatic or a manual gearbox is, of course, a matter of personal preference. The Chevrolet Impala features a Automatic 4-Speed transmission, which is quite easy to operate and provides additional flexibility and a higher level of fuel economy. With this Automatic 4-Speed transmission you can get an excellent travelling experience no matter what. We offer you to buy this Impala Chevrolet that has travelled a distance of 87072. It is a very good quality car, which will surprise you with its sturdiness, reliability, efficiency, and appealing look. Remember that only we can sell this kind of car with such a reduction in price. VIN (Vehicle Identification Number) is a 17-digit number, which can be found inside the passenger compartment on the windshield. It stands for the manufacturer of the car, weight of the vehicle, trim, engine power, year of release, assembly, and a manufacturing number. The VIN for this particular model is 2G1WP521449241217. Thus, Chevrolet Impala, this perfect style car, is waiting for your decision. Though we are sure it will be absolutely positive! The automobile we’ve examined is required on any type of city streets, when it’s raining and snowing and when the sun is shining – everywhere for everybody whenever you like it!